Cantwell is dubbing the new program “Outlaw Conservative” and says he will make efforts to scale back the kind of extreme rhetoric that is practically the foundation of his primary “Radical Agenda” show, which is filled with abrasive anti-Semitism and racism. The media attention Cantwell earned after his participation in Unite the Right in 2017, and his ongoing violent rhetoric against those who oppose his agenda, have all but exiled Cantwell from the digital financial system, forcing him to resort to individual-to-individual BitCoin transfers and mailed checks to support his white supremacist activism. In a transparent attempt to slide back into the mainstream digital financing apparatus he desperately needs to keep his extremist side-show running, he has announced that he will debut a toned-down version of his show next week, and carry it for at least 10 episodes. Cantwell is also attempting to skirt around his payment processing bans with two websites that are still able to take credit card payments via the payment processor Authorize.Net. On the first, Cantwell is selling his alleged skills as a voiceover artist and copywriter, while the other sells knick-knacks including USB chargers, two-way radios, and skull masks. The censorship campaigns have made it difficult for us to grow the audience as much as we otherwise would have, even with massive media attention I’ve managed to attract. The financial industry discrimination has made it very difficult to make money off the audience I do have, and though we’ve managed to keep it going so far, I have some significant expenses which are only going to climb if I hope to get married and have children, which I most certainly intend to do. In launching the businesses that keep my bills paid at present, I found out something important. 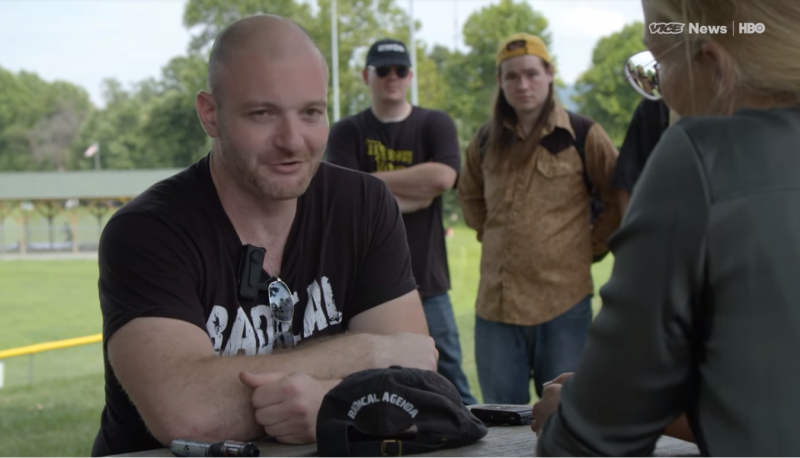 I am not personally being discriminated against by the financial industry, it’s just ChristopherCantwell.com and the Radical Agenda that cannot get payment processing. Businesses that I run without the uncensored content can and do operate without issue. If I ran a clean show, I could (in theory) reintroduce the business functions to that podcast, like paywall content and merchandise sales. While I won’t be regaining access to YouTube, Facebook, or Twitter any time soon, there are other platforms emerging out there which are more reasonable, but still have some limits on what you can say. If I produce a moderated show, I can gain more exposure and advance the less radical portions of our agenda. Cantwell’s “Radical Agenda” fans expressed their skepticism on Gab. Right Wing Bonus Tracks: President Trump Hates Racism?